When you’re self-employed, you’re in charge of everything. That includes every aspect of running your business (the operations and requirements of your industry) as well as performing “additional” functions that most people never think about. For most wage-earners, life is easy because employers provide workplace benefits. Creating your own retirement plan is one of those functions. Nobody is going to do it for you. You might get Social Security benefits in retirement (yes, it’ll probably still be there, even for young folks) but Social Security isn’t enough for most people and it’s not getting any more generous. Compounding the challenge is that finances may be foreign to you. You may be successful at your business, but that’s because you’ve put time and energy into that endeavor. You’re smart enough to figure out financial stuff, but there are only 24 hours in a day (and it may be that you operate on a different wavelength – perhaps a more creative one – that makes planning for retirement a boring chore). There are several types of retirement accounts you can use as a self-employed individual. Whether you’re incorporated or a sole proprietor, most of the major types are available to you. So, which one should you choose? The answer to any retirement planning question is: it depends. It’s best to spend some time reviewing the pros and cons of each choice. However, sometimes it’s nice to start with something in mind and figure out what you like and don’t like about it. If it happens to fit your needs, you can go with it; if not, you’ll have figured out what you don’t want from a retirement plan. With that in mind, let’s look at how the Solo 401k compares to other popular options. The Solo 401k is a strong contender for the best retirement account for self-employed individuals and can be used as a baseline for comparison. Note that one caveat of the Solo 401k is that you cannot have any employees (except for a spouse, which can make it an even more powerful way to sock away lots of cash). Now, to paint a richer picture, let’s compare the Solo 401k to its predecessors: IRA-based plans. We’ll start with the main competitor, which is a SEP IRA. Solo 401k vs. SEP: Solo 401k allows you to contribute more with a lower level of income. SEP contributions are limited to 25% of compensation (with a maximum of $55,000 in 2018). To maximize the SEP – or to make a decent sized contribution – you’ll need a much higher level of profits (somewhere well north of $200,000 per year). For example, let’s say you earn $50,000 through self-employment. You might think that you can contribute $12,500 because 12,500 is 25% of $50,000. In fact, you have to make certain adjustments and reduce your contribution (depending on how you defined “compensation”) to something more like $9,293. This worksheet explains the process. What if you want to contribute more? Given the same $50,000 income, with a Solo 401k you can contribute up to $18,500 as “salary deferral” without doing much math (all you need to know is that $18,500 is less than $50,000, and you can contribute 100% of your compensation, up to certain limits). Then you can make an additional profit sharing or matching contribution on top of that. You don’t have to contribute that much, but you have the option. That’s what makes a Solo 401k more flexible and powerful than a SEP. In addition, SEP IRAs don’t allow after-tax (Roth) contributions, and you can’t borrow against assets in the plan. Solo 401k vs. SIMPLE: SIMPLE plans are similar to Solo 401k plans: they allow you to make a nice “salary deferral” contribution – up to $12,500 in 2018, with an additional $3,000 available if you’re over 50. But if you’re starting a new plan, why not go with the option to do $18,000? You’ll grow into it someday. SIMPLEs can also be inflexible. You have to make an employer contribution in most years, and you might not want to do that during lean times. Plus, having a SIMPLE means you can’t have (or start) a 401k during that same calendar year – they just take away a bit of flexibility. In addition, SIMPLE IRAs don’t allow Roth contributions or loans. Solo 401k vs. IRA – Traditional and Roth: IRAs are a great way to save for retirement. The main advantage of an IRA over a Solo 401k is that you can open an IRA almost anywhere. That means you can invest in whatever you want. Solo 401k plans, on the other hand, are only offered by certain investment providers, and they may limit what you can invest in (it’s possible to invest in a wider variety of choices in a Solo 401k, but it’s not cheap). Now, there are plenty of great investment providers with Solo 401k plans, including Vanguard, so this might not really be a drawback. IRAs come up short when you look at how much you can contribute and whether or not you’re eligible. Maximums of $5,500 in 2018 make it hard to fund a comfortable retirement. In addition, you might make too much money to qualify for a deductible IRA contribution or a Roth IRA contribution – but deductible contributions and Roth contributions are available to anybody through a Solo 401k (assuming your provider allows Roth contributions). Again, loans are not available from IRA accounts. Now, you’re probably eager to open a 401k and start dumping money into it. But let’s slow down for just a moment. Note: Solo 401k plans are not perfect, but they’re one more tool that just might happen to meet your needs. Always verify with a tax advisor before you do anything. First, you should talk with a tax advisor to see if a Solo 401k works the way you think (and hope) it will work. This article is a general overview only (and it might even be inaccurate or not relevant to your situation). If you want to start saving large amounts of money, it’s worth a few bucks to pay a local tax expert for individualized advice. If you’ve figured out that a Solo 401k actually works for you, and you’re OK with the limitations above, where can you start your own 401k? Look at all of the DIY providers and talk with a local financial planner about setting one up. 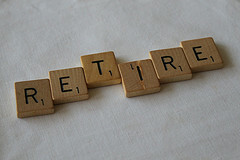 Retire by 40 recently published a review of his experience opening a Solo 401k with Vanguard. If you want more information about preparing for retirement, see How to Plan for Retirement: Start at the End.